The ability to create dynamic pages opens doors. Suppose you wanted to create a survey to collect information from visitors to your web site. You could easily create a form with HTML that included all your questions, and have the results emailed to you. But to convert the raw information into a meaningful format, you’d have to manually compile it, and then organize it to gauge the results – a process which could take hours. Writing PHP applications is pretty easy. Most people grasp the syntax rather quickly and will within short time be able to produce a script that works using tutorials, references, books, and help forums. CakePHP makes building web applications simpler, faster, while requiring less code. A modern PHP 7 framework offering a flexible database access layer and a powerful scaffolding system that makes building both small and complex systems simpler, easier and, of course, tastier. CakePHP is a rapid development framework for PHP which uses commonly known design patterns like Associative Data Mapping, Front Controller, and MVC. Laravel is a free, open-source PHP web framework, created by Taylor Otwell and intended for the development of web applications following the model view controller architectural pattern. Laravel is accessible, yet powerful, providing tools needed for large, robust applications. A superb combination of simplicity, elegance, and innovation gives you a complete toolset required to build any application with which you are tasked. Nette is a set of PHP 7 standalone components that make up the framework, rated as the 3rd most popular in the world. Nette puts extra emphasis productivity, clean code, and security. Nette is a full-stack PHP framework composed from a set of decoupled and reusable packages. Phalcon is an open source web framework delivered as a C extension for the PHP language providing high performance and lower resource consumption. Phalcon is written in Zephir/C with platform independence in mind. As a result, Phalcon is available on Microsoft Windows, GNU/Linux, FreeBSD and MacOS. You can either download a binary package for the system of your choice or build it from the below source. PPI is the PHP Interoperability Framework. It provides an equal and open platform to empower PHP developers to pick the best tools from the best PHP frameworks. PPI bootstraps framework components for you from the top frameworks such as ZendFramework2, Symfony2, Laravel4 and FuelPHP. Symfony is a set of PHP Components, a Web Application framework, a Philosophy, and a Community — all working together in harmony. Symfony is one of the leading PHP framework to create websites and web applications. Symfony is used by thousands of web applications (including BlaBlaCar.com and Spotify.com) and most of the popular PHP projects (including Drupal and Magento). Yii is a high-performance PHP framework best for developing Web 2.0 applications. Yii 2 is a modern framework designed to be a solid foundation for your PHP application. It is fast, secure and efficient and works right out of the box pre-configured with reasonable defaults. The framework is easy to adjust to meet your needs, because Yii has been designed to be flexible. Zend Framework is a collection of professional PHP packages with more than 220 million installations. 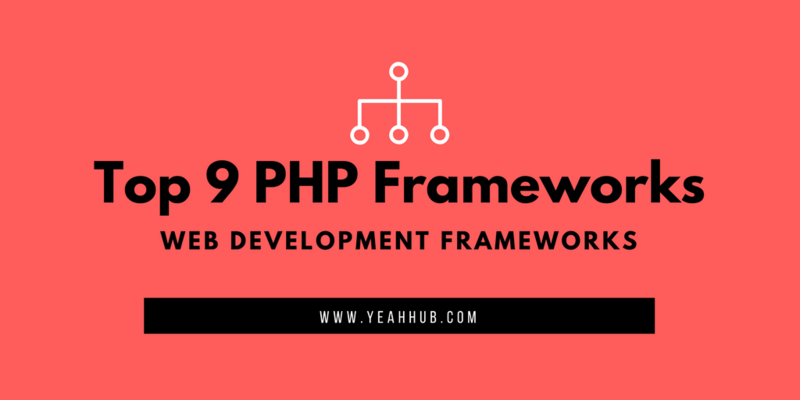 It can be used to develop web applications and services using PHP 5.6+, and provides 100% object-oriented code using a broad spectrum of language features. Zend Framework 3 evolved from both Zend Framework 2 and 1; cumulatively, the previous versions were downloaded more than 15 million times. The most stable version of Zend Framework is Version 2. Ice is one of the simple, fast and open source PHP Framework. You can easily install this Ice Framework in either Nginx or Apache based Servers.